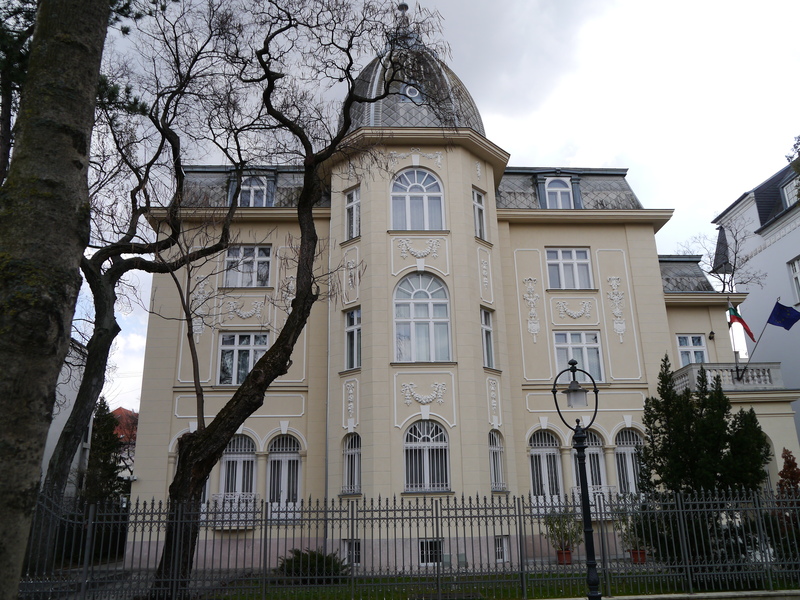 Budapest? But I don’t even like George Ezra! 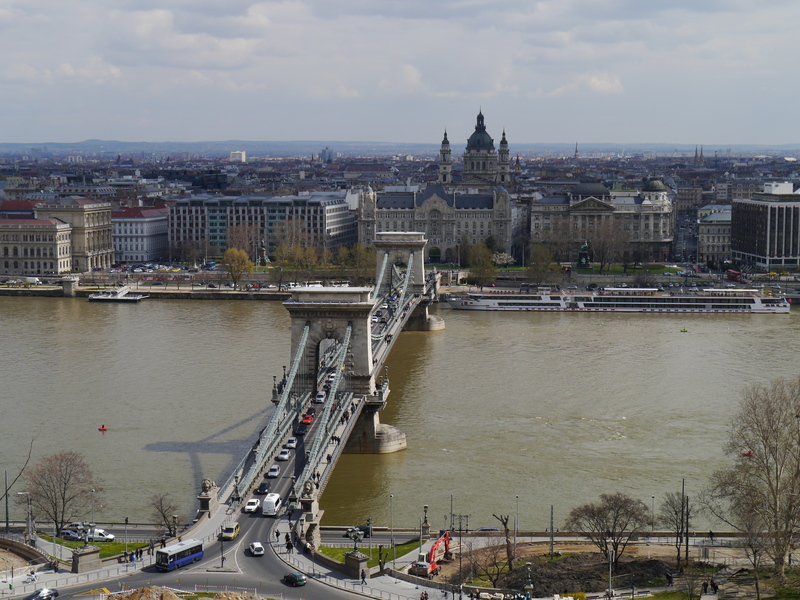 Over the Easter weekend, four of us made the journey to Budapest. This is somewhere that I’ve not been to before and my only knowledge of the place has been learnt from watching the Formula 1 when it’s been to the Hungaroring. Now I could bore you with my, ahem, encyclopaedic knowledge of F1, but, in true Murray Walker style, I need to interrupt myself and talk about our holiday. The flight over was pretty uneventful, but that didn’t stop Ryanair from blasting out a fanfare on landing. As if to say, “We made it, aren’t you lucky we survived?” Well yes, clearly, but was it really necessary? By the time we arrived at the hotel, time had ticked on a fair way so it was straight to bed for a good nights sleep all ready for the first day! 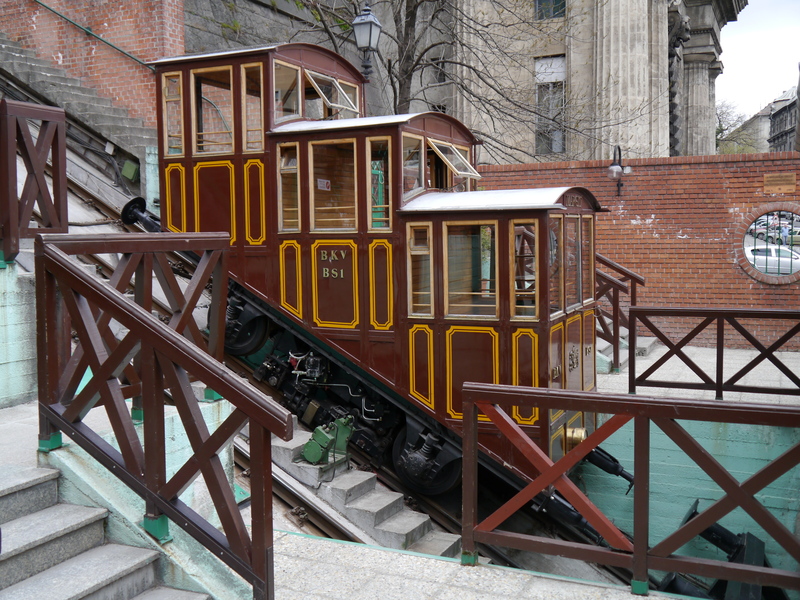 Conveniently, our hotel was situated right next to Keleti Station, which boasts train, tram and metro services, so off we walked to our first destination which happened to be a local flea market. This ended up being presented like a typical car boot sale but without the cars. Quite a lot of local tat but strangely an awful lot of English music and DVDs; legitimate copies of course. One stand however did catch my eye, one that was riddled with model trains! This takes me back to my childhood, I used to love my train set. I sometimes wish I still had it all, set up in the loft, but unfortunately for me my wife has decided to turn the loft into a guest room! And now the only thing I get to keep up there, among the random boxes and Christmas decorations, is my little stash of Jaipur X, just don’t tell any guests it’s there! 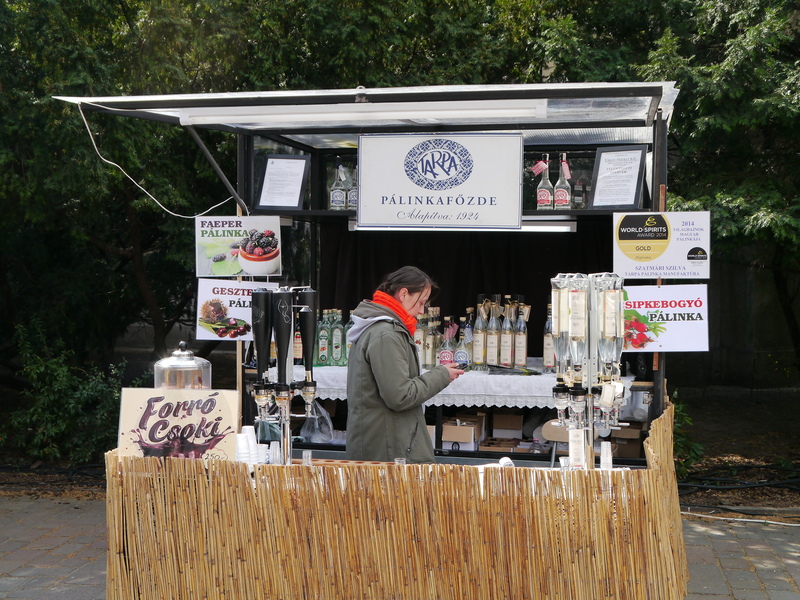 Once I’d stopped reminiscing, we wandered off through City Park and found a little, well, fairly well established market next to Vajdahunyad Castle which offered some amazing looking fare! 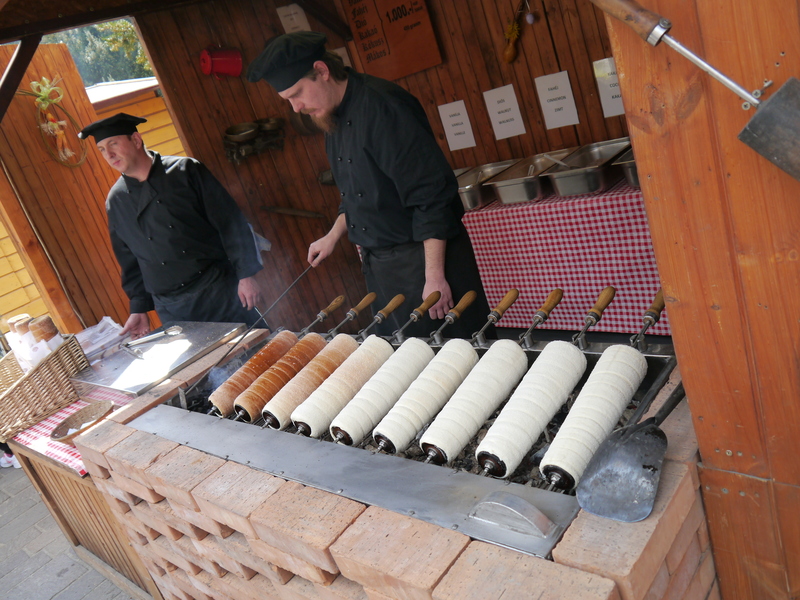 My wife had been fascinated by Chimney cake, so to keep her quiet we found a vendor and she indulged. 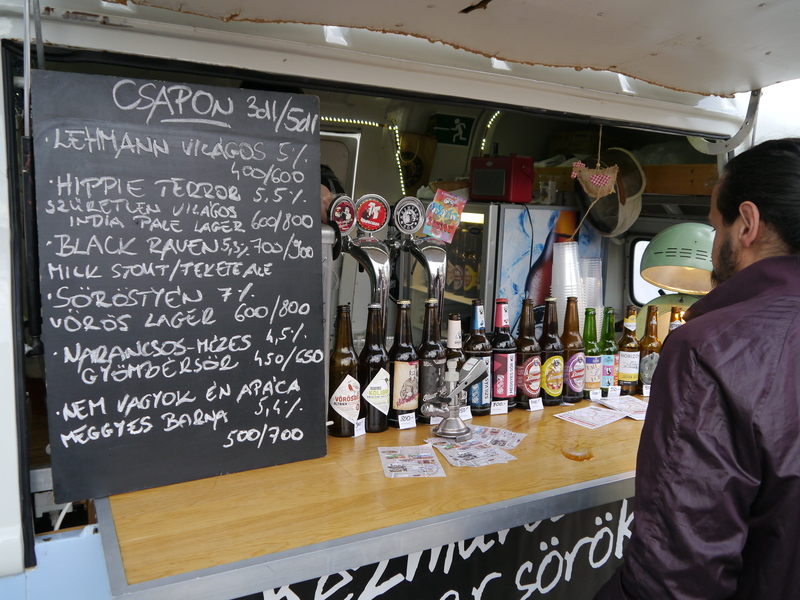 A little further through the market I caught my first glimpse of Hungarian Craft Beer. It’s only about 11am, so lets get a beer. The choice was superb, and though the menu was partly written in English, even I struggled to choose something to quench my morning thirst. 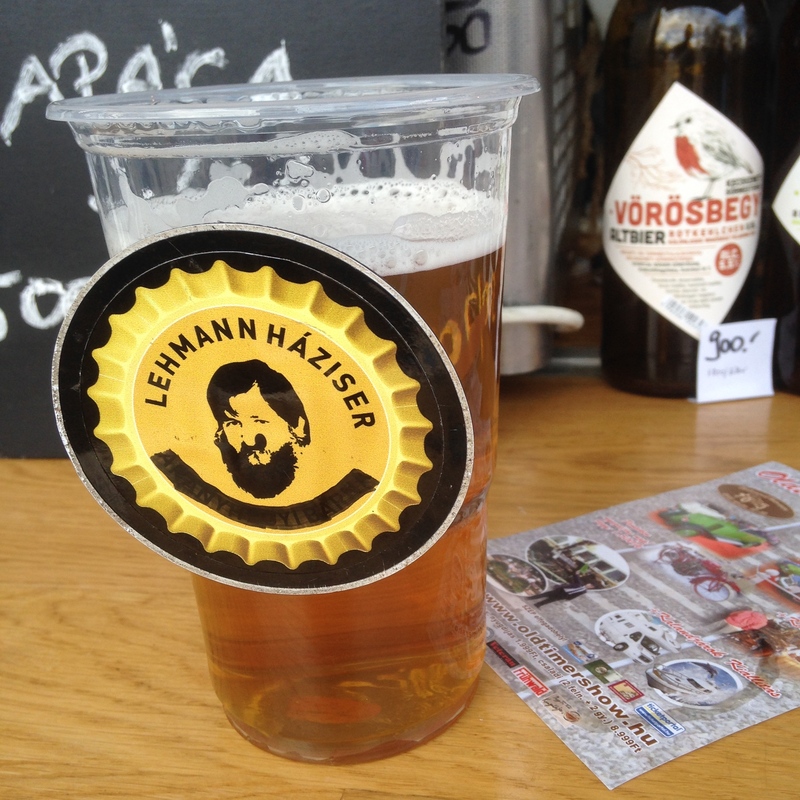 I decided on the Lehmann Haziser, a nice crisp and fruity pilsner which went down really well on the fresh but sunny morning. 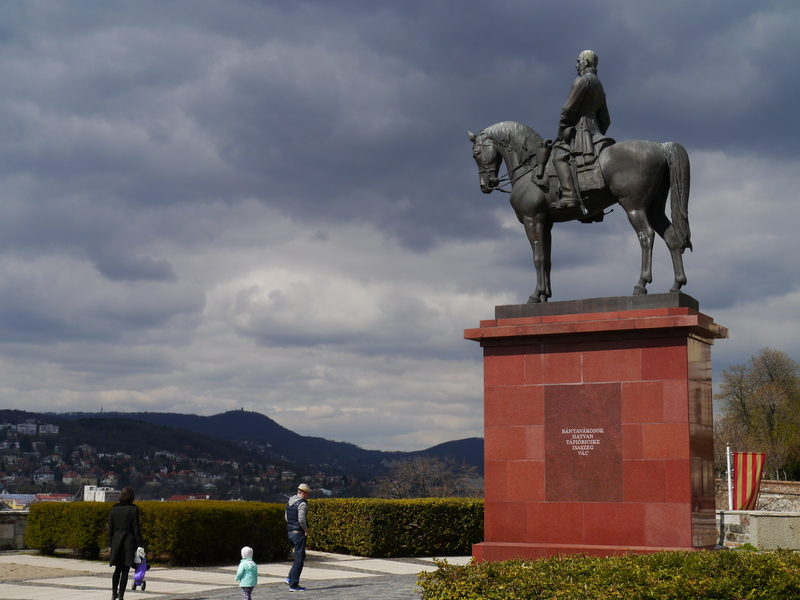 After a little more walking, the health app on my wife’s iPhone 6 is going hell for leather now, we made our way down into the more central part of Budapest. Taking the walking option was quite nice, the architecture is special and there was quite an abundance of Metro stations along our chosen route, but we strutted on. We suddenly found ourselves in the middle of a snow storm and couldn’t decide whether to buy a jacket, get something to eat and sit inside or remain outdoors. Common sense reigned supreme and we sat outside with some hearty food and a drink. 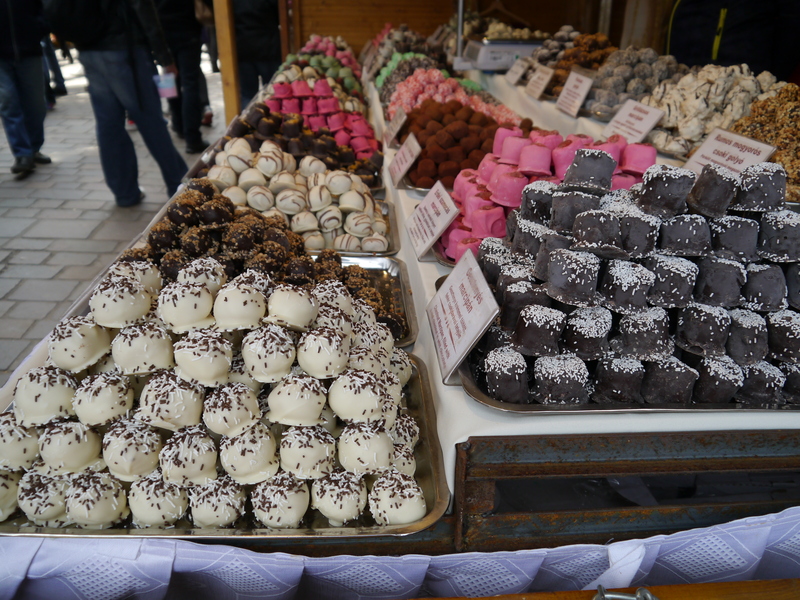 We had stumbled across what could almost be described as a Christmas market, like we’d have at home, except this one was open when we needed it to be. 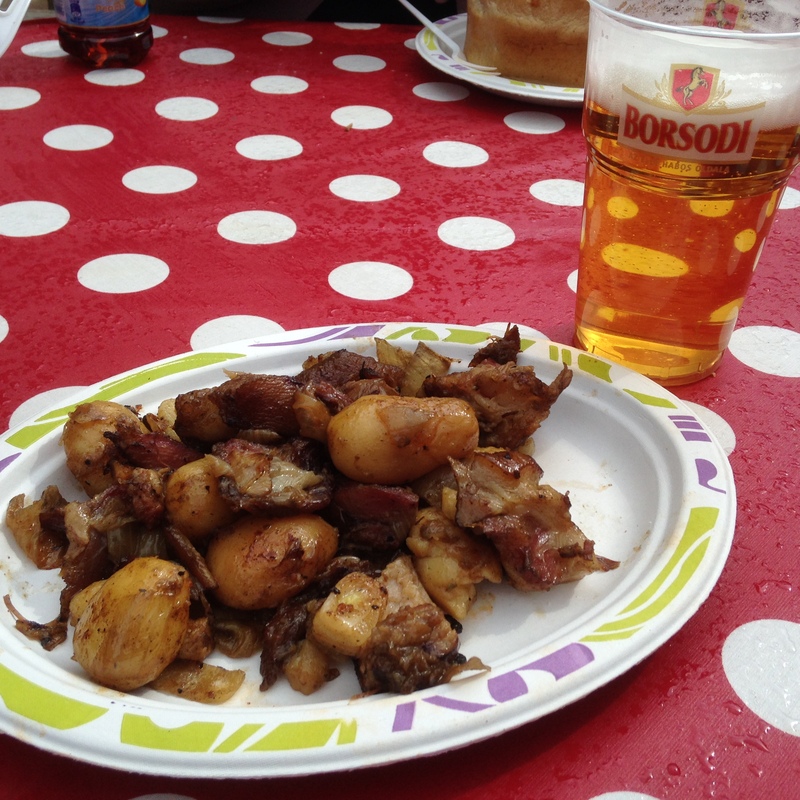 Diced pork knuckle with new potatoes and a pint of Borsodi was the order of the moment, which was immensely satisfying, and extinct just as rapidly as the snow storm that had brought us here. Following a rather aimless walk we stumbled across a bar called Csendes. This place has to be unique. Where else can you enjoy your drink whilst sat in a bath tub, other than at home of course. 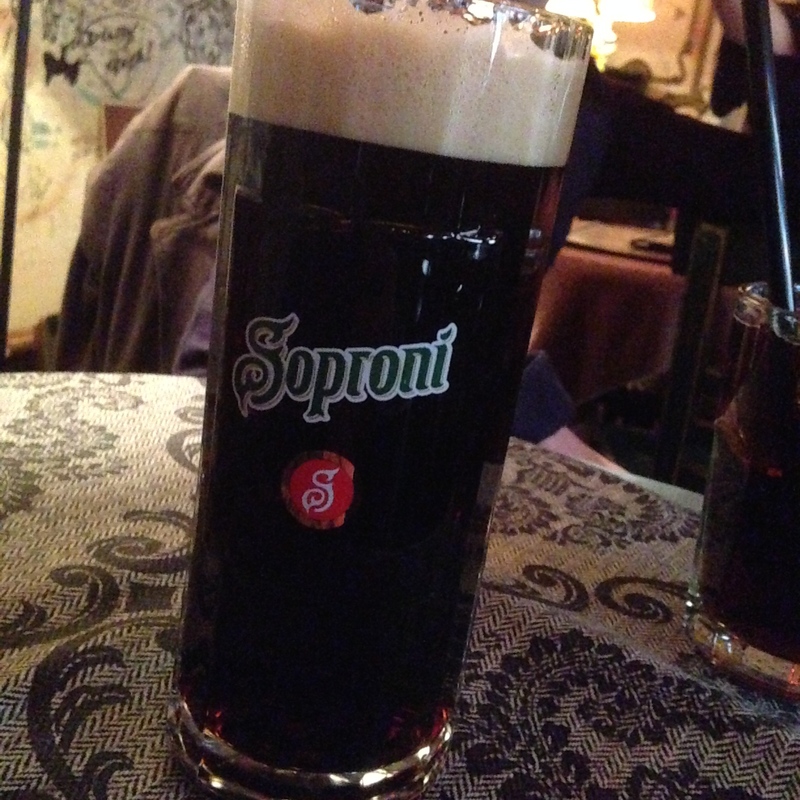 And my choice of beer; Soproni Demon. This was delicious, really smooth and malty, with a whole load of liquorice chucked into it’s deep, dark redness. The decor was smart and not excessive, but the choice of food on the other hand did make us stop and think for a while. 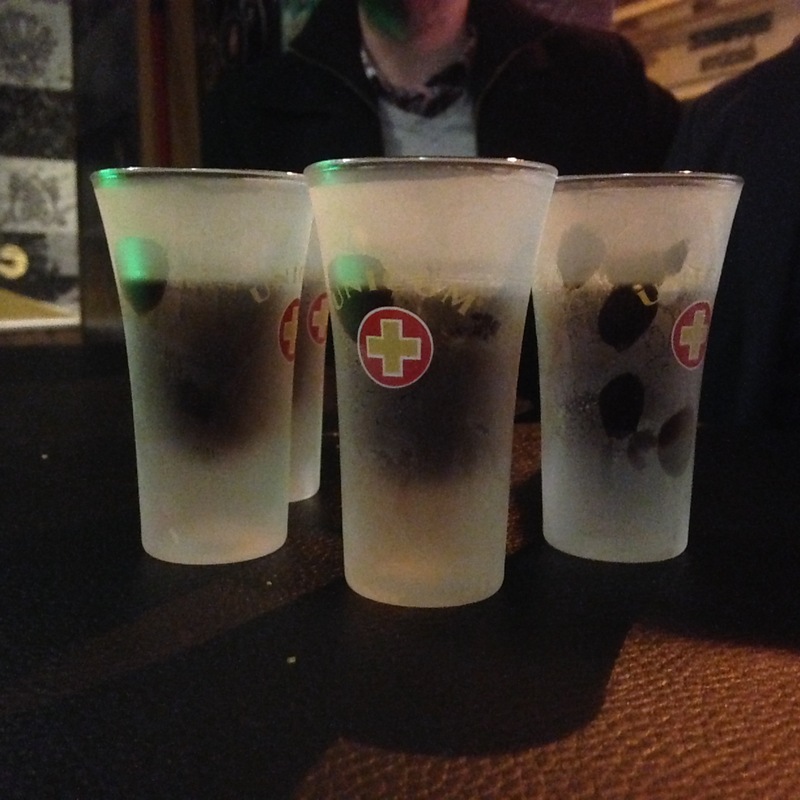 So whilst we made up our minds, we ordered drinks, standard. Being the inquisitive one amongst us, I decided to opt for the drink with the most bizarre name, Rothbeer Pyromania. Even the waiter said, you do know this is a dark beer? Well I didn’t, but now I really want it. And boy did it live up to it’s name. 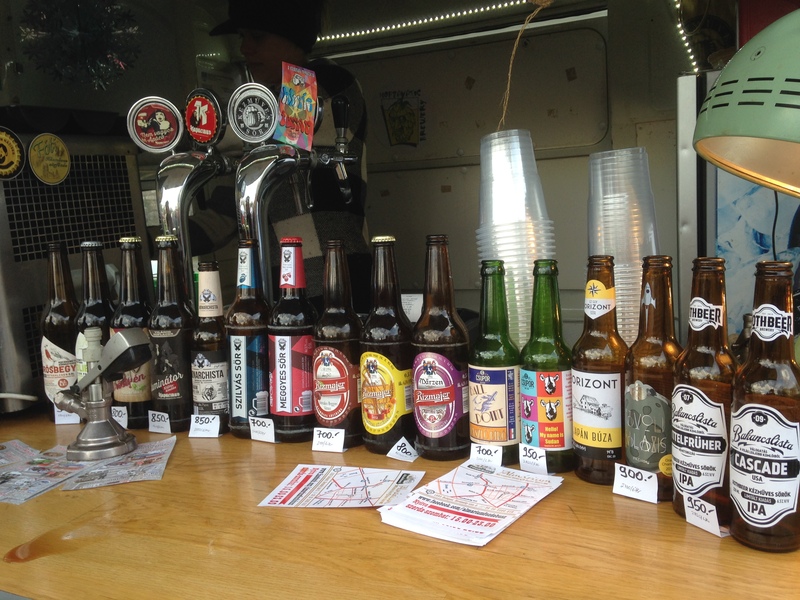 (By this point I had clearly become adept at choosing the dark beers, and purely by chance I had picked another fantastic beer.) Beautiful copper red colour, sublime caramel and smokey, open fire-esque flavour. I was not expecting this at all. Forget the food, I’m on this all night. 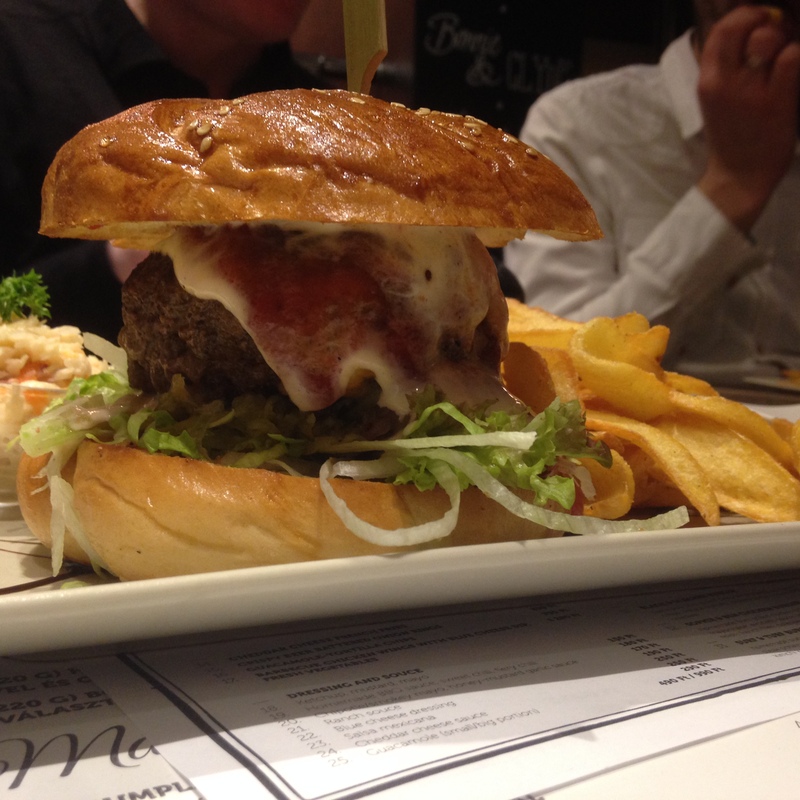 But let’s not dismiss the food too quickly, the hand cut chips were truly breathtaking, and the burgers were simply to die for. This place really proves that it’s not that difficult to deliver outstanding food in the form of something as simple as burger and chips. 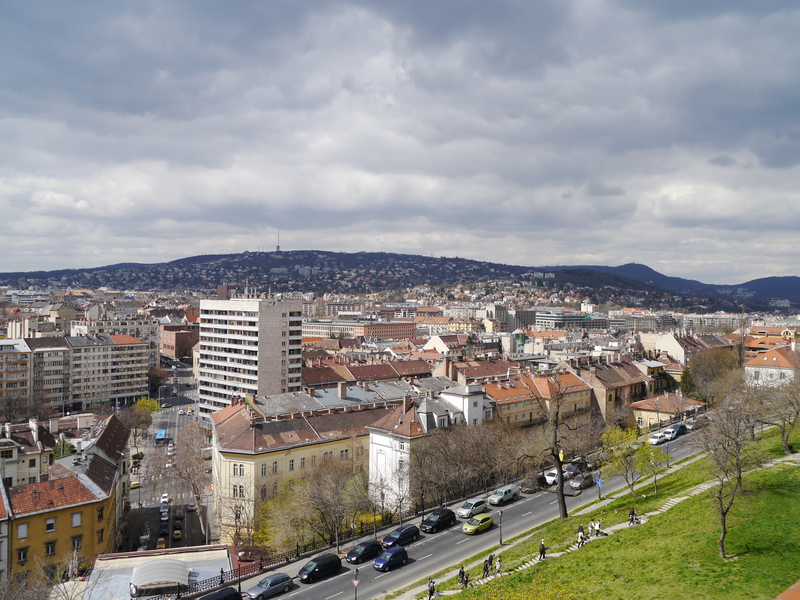 The next day we decided to do some touristy stuff and headed for the funicular railway that led up to Buda Castle. Unfortunately for the iPhone we decided to use the Metro to get a little closer to our destination. 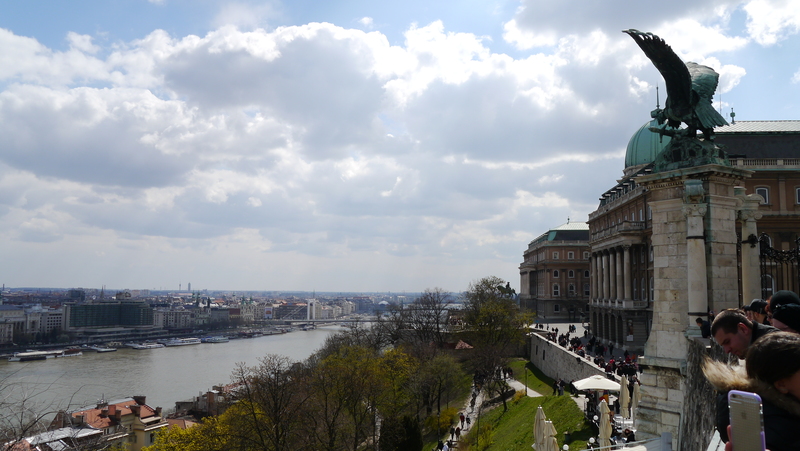 From the top of the hill you get a superb view of both Buda and Pest; the two towns separated by the mighty Danube. Apparently we’d consumed too much alcohol by this point so coffee it was. Actually quite nice too, and feeling refreshed by our caffeine buzz we headed back down the hill and on the hunt for some lunch. Almost by chance we found a place called The For Sale Pub, which as it happens, isn’t. 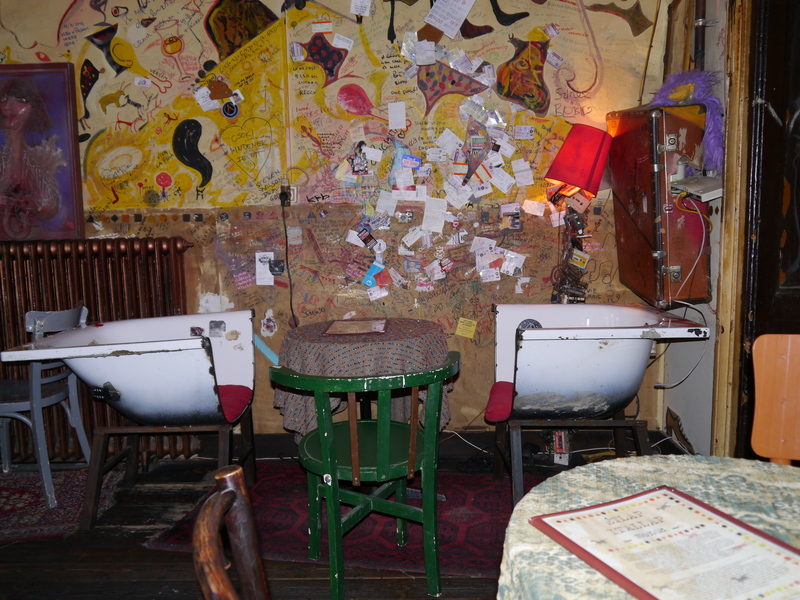 The interior of this place is interesting to say the least. 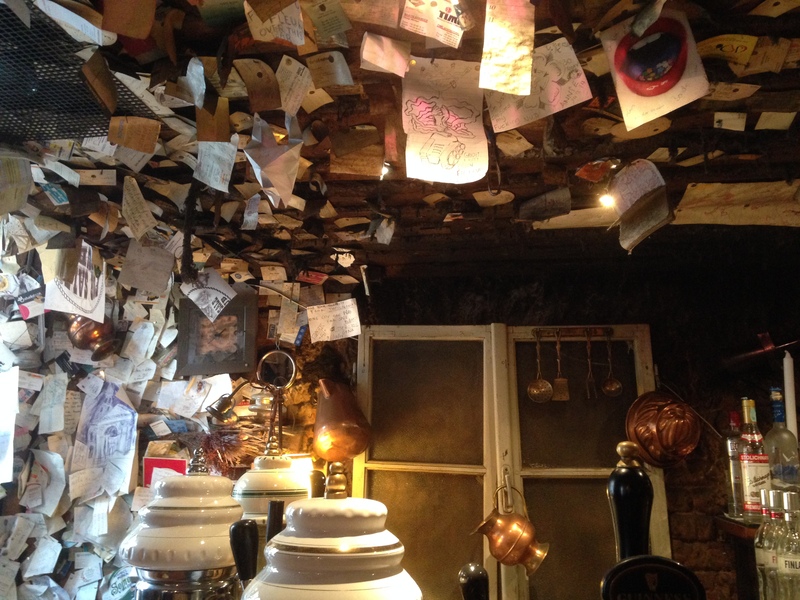 Hand written notes in every conceivable language litter the walls and ceilings, and even a few cigarette packets too. We managed to get a table and sat for lunch. And I don’t think I’ve actually ever seen a menu with quite so many choices, well over 120 in fact. We eventually ordered, and whilst we waited, consumed the numerous monkey nuts that sat in the middle of our table. Now like any good Briton, we placed the spent shells in the candle containing bowl on the table, only to be told to throw them on the floor! Was this really the normal practice we should adopt? It seemed so, and became quite amusing just launching the shells floorwards. Once we’d fought our way through the mountain of food that we were dealt, we found ourselves on the hunt for a dessert. The New York Cafe was the place to head, and head there we did. The approach to the Cafe was like any normal walk to an eatery. 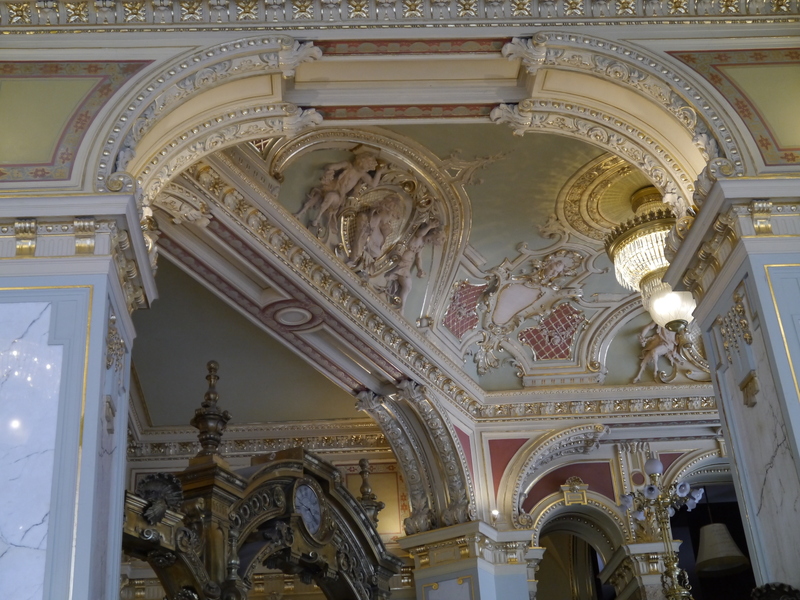 But on arrival we found ourselves gazing skywards and totally awestruck by the chandeliers and ceilings. We’d only come here for pudding but somehow I managed to shoehorn a beer into our appointment. 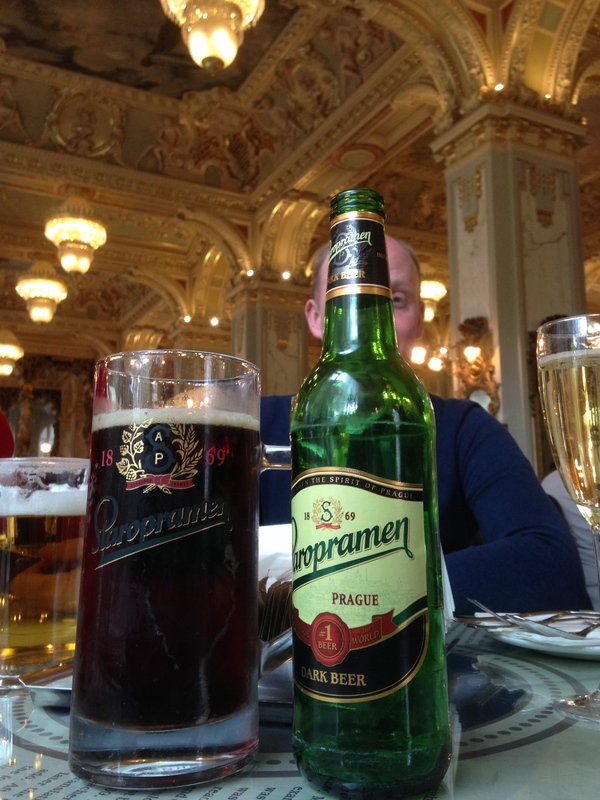 Yet another dark beer, Staropramen Dark. 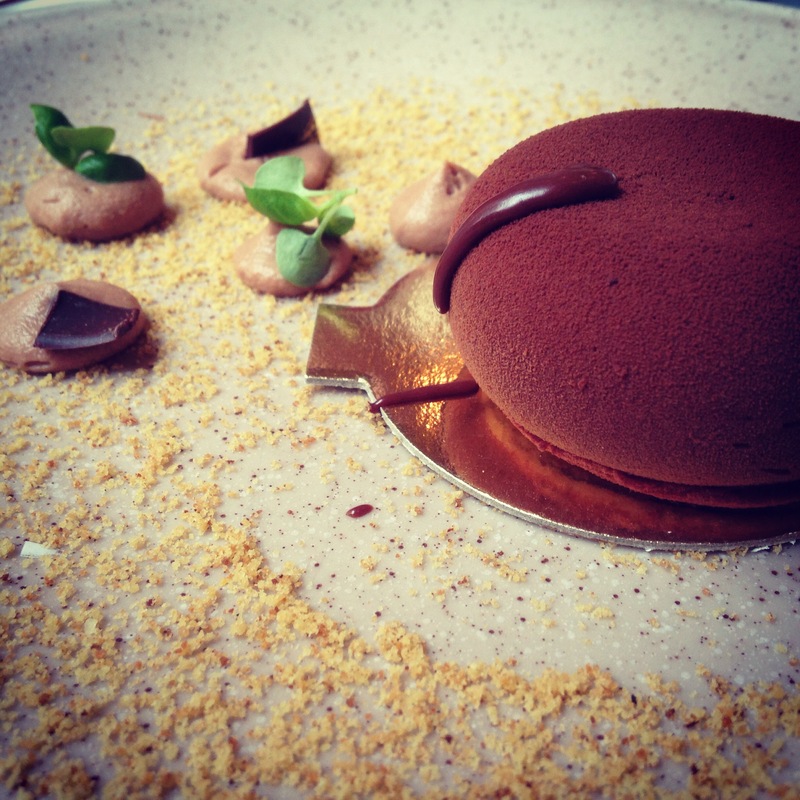 Now this was a perfect match with the chosen chocolate dessert. Later that evening we headed back out for a few drinks and possibly some food. 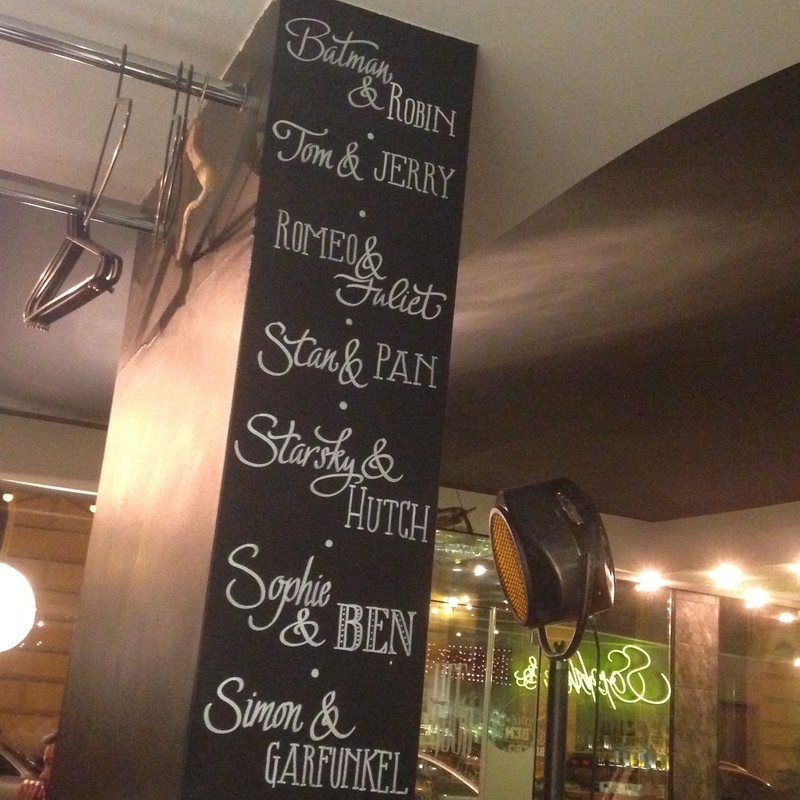 We headed back to the area around Sophie and Bens where we found quite a swanky wine bar. I had no choice but to drink some wine as that’s all they sold! I’m just glad I avoided the embarrassment of asking for a beer; after my wife asked for a cocktail I kept my mouth shut! Next stop was a proper bar, that sold proper drinks. 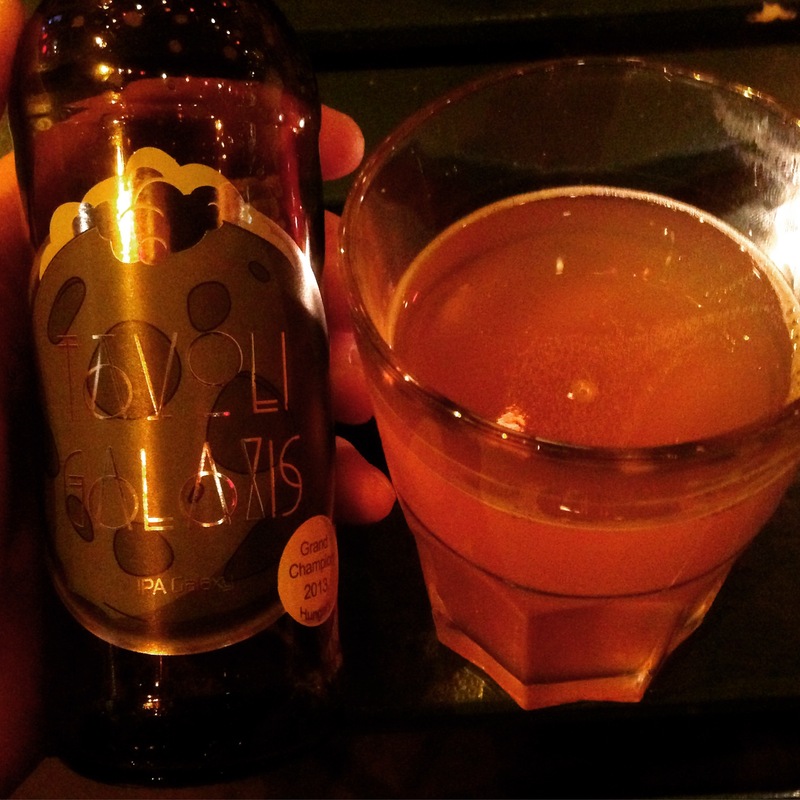 And I was rather intrigued by a local beer; Tavoli Galaxis. This appeared to be a single hop IPA hopped with just Galaxy. Now this, after the wine was like a breath of fresh air, and the bartender described it as a Hungarian hand crafted beer. Now this I really like. Single hop beers can really be let down by their malt content but this, this is immense. I really struggled to take it slowly, and just craved more. So how on earth do you follow this? Easy as it happens. 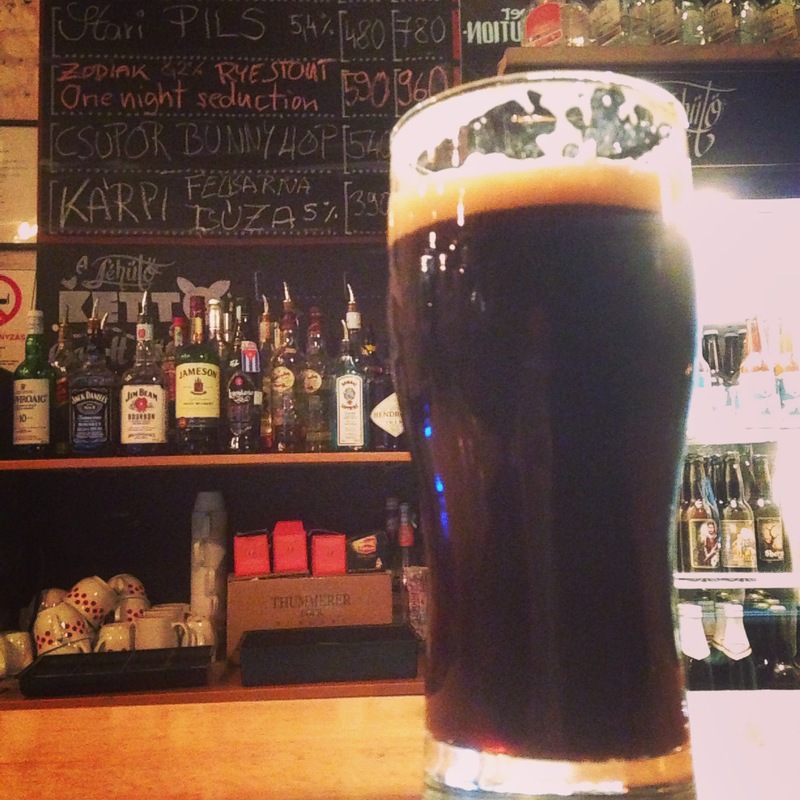 We venture into what would appear to the only craft beer bar in the whole of Budapest. There may be others, but I couldn’t find them! 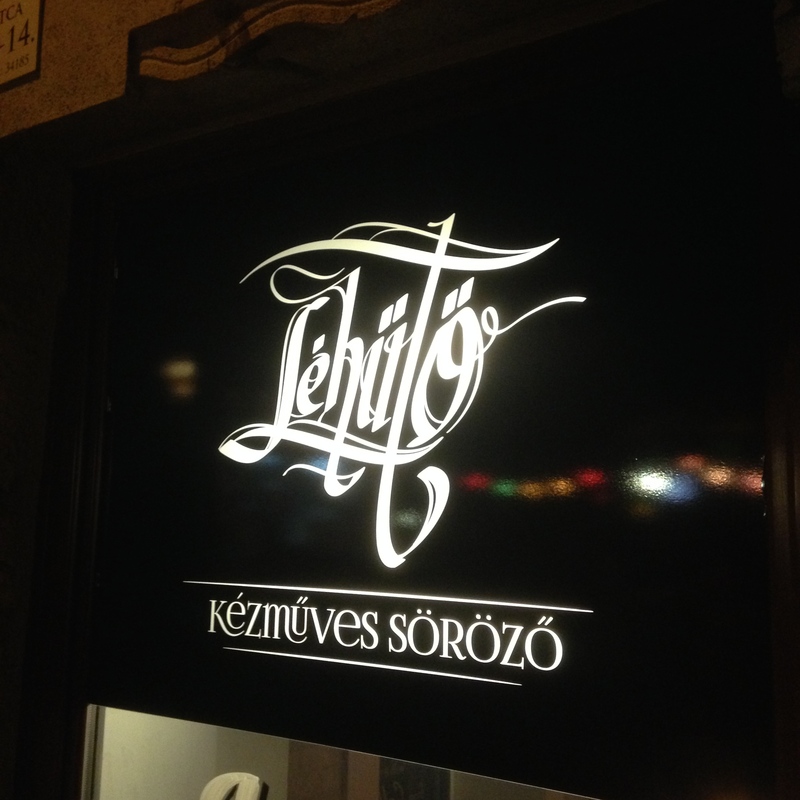 Lehuto, on Hollo utca. Quite a small place, down a few stairs and fairly well tucked away. You really need to know this place is here or you’d just pass it by. Now if I said the previous bar was a proper bar, then I was wrong, Lehuto is a proper bar. 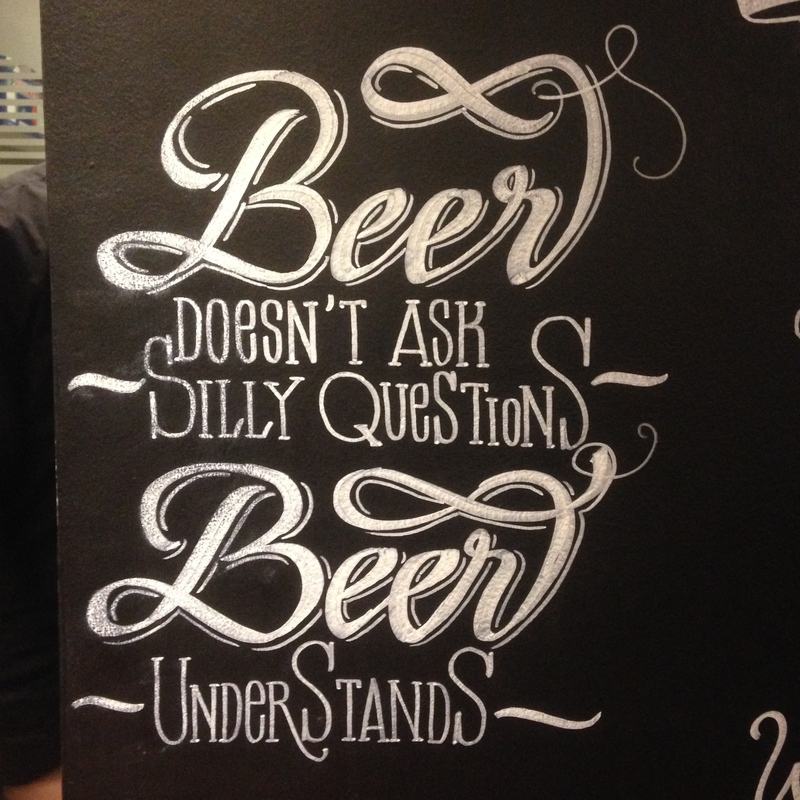 It felt like a home from home, beer menu up on a chalk board and a huge bottle list on the wall. I was like a kid in a sweet shop, where on earth do you begin with such a choice? Well, I opted for the Zodiak Rye IPA. Not too strong and tasting was sublime. Really citrusy with a light bitterness and quite full at the same time. This was an awesome opener to what would become my evening. 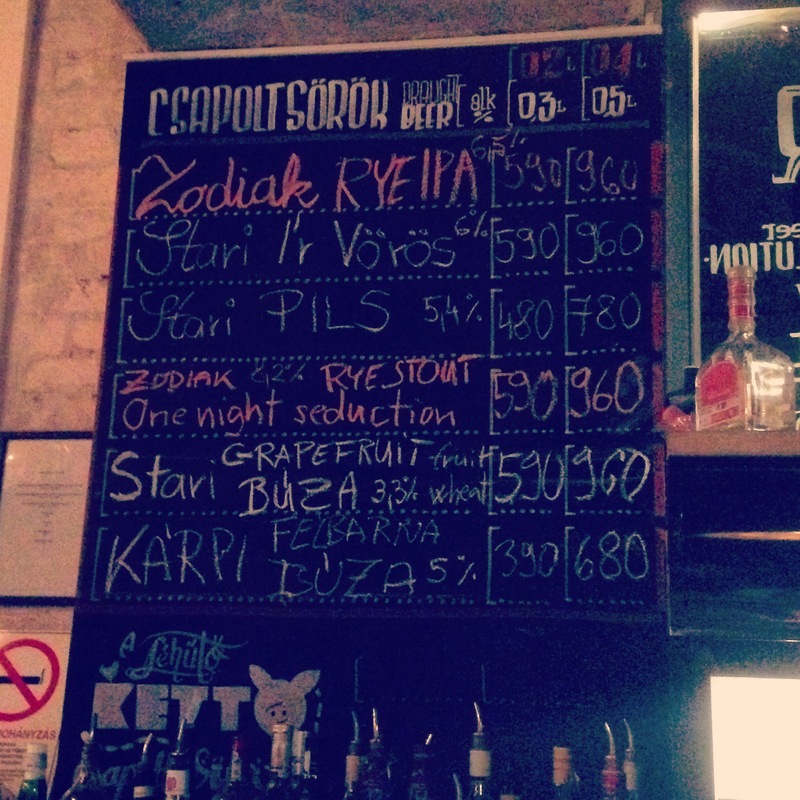 Following this I went for the Zodiak Rye stout. At 8.2% it looks to be quite a substantial drink, but you are greeted by a chocolatey, fruity beer that’s so easy drinking at the same time. But you daren’t spill any, it’s so viscous it would be like the Great Molasses Flood of Boston re-enacted here in Budapest! So how do you follow two great beers such as these? 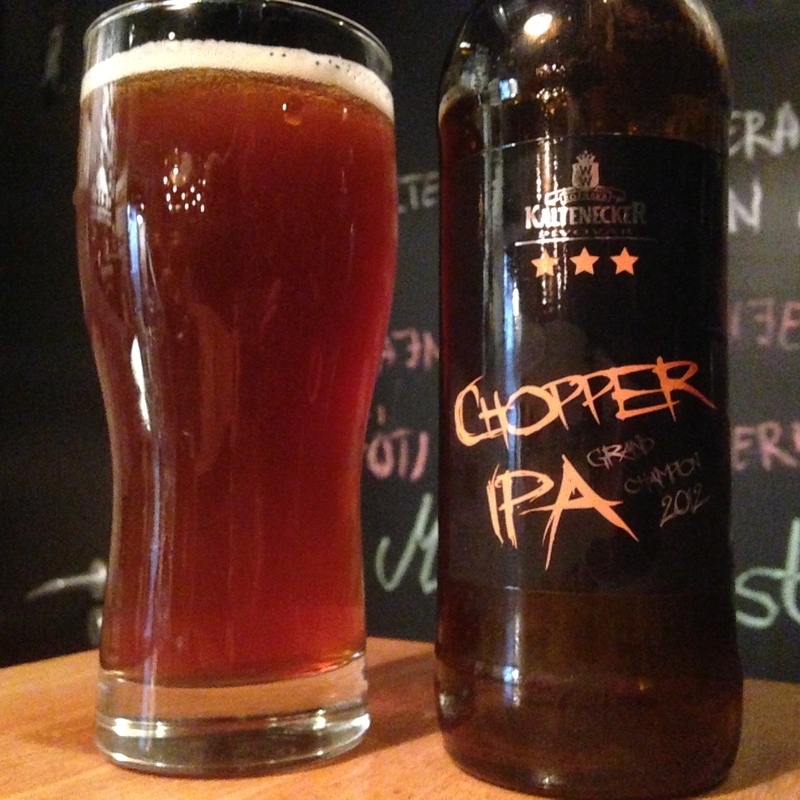 Well, the Kaltenecker Chopper IPA is exactly how I did it. Gorgeous biscuity, caramel and grassy aroma, coupled to a bread taste which is light and so smooth. For an IPA from the bottle it’s good and malty and the hops add a nice bitterness to it. This is a truly satisfying and wholesome beer. I could have stayed in Lehuto’s all night, but I couldn’t be selfish so we pressed on to our last bar. Again I opted for the Galaxis, but more important here was the music. The song playing was Dirty Vegas, Days Go By. I absolutely love this song, I’ve not heard it for years and it really made my night in a bizarre kind of way. I say it was our last bar, but on the way back to the hotel we were seduced by a place, the name of which I forget, but the drink we consumed will never be forgotten. I won’t go into it too much and will just leave you with one word, Unicum…..
Our final day was to be cut short by the fact our plane left during the afternoon, but fear not we had a place to eat lunch all pre booked. It was just a matter of finding it. Now I thought Lehuto was easy to miss but this place, Zeller, was even easier to pass by. But we’re so glad we didn’t. We lowered ourselves into the restaurant from the street via a number of stairs, and oh my were we in for a treat. We were shown to our seat, a nice booth, by a simply perfect waitress. If I could have taken her home, I would have. 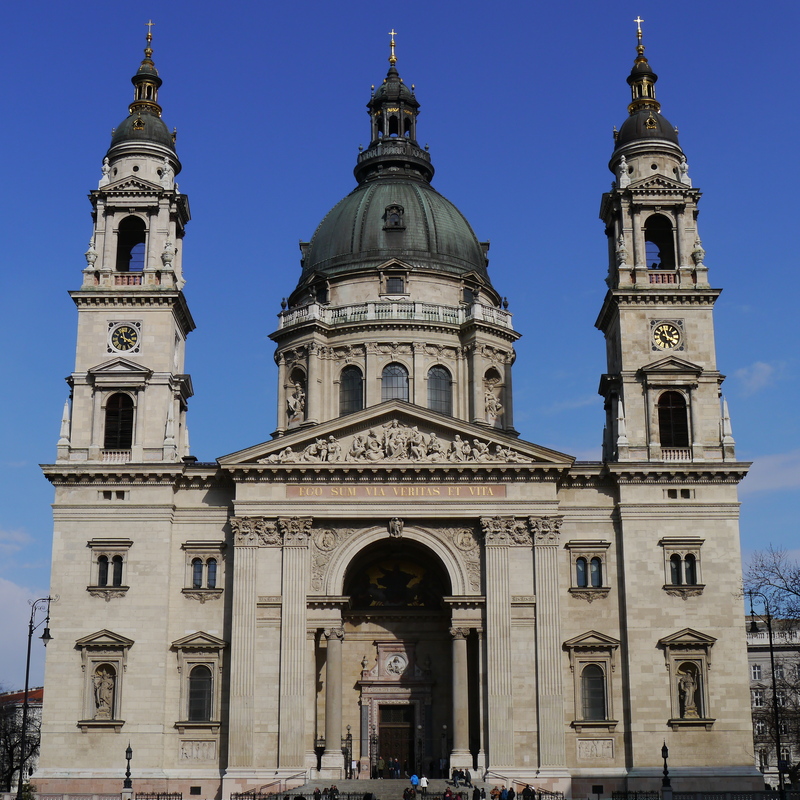 She was French but living in Budapest, and the warm feeling she created inside made the walk all the more worth it. And I wasn’t the only one who felt it. We were offered a glass of their own sparkling wine, which was similar to a Prosecco. This was absolutely delicious and the elderflower flavour was just sublime. 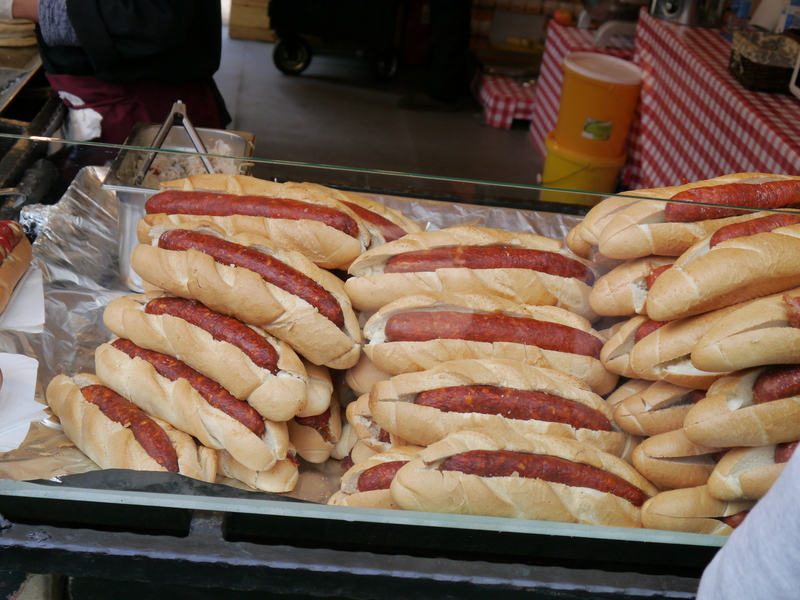 The food menu was concise enough to offer a good choice, but not so much that you were left struggling to decide what to eat. I opted for the fish of the day, which was salmon served with pak choy. When the food arrived it was like looking at a photograph, the presentation was perfect and the portion size was just right. 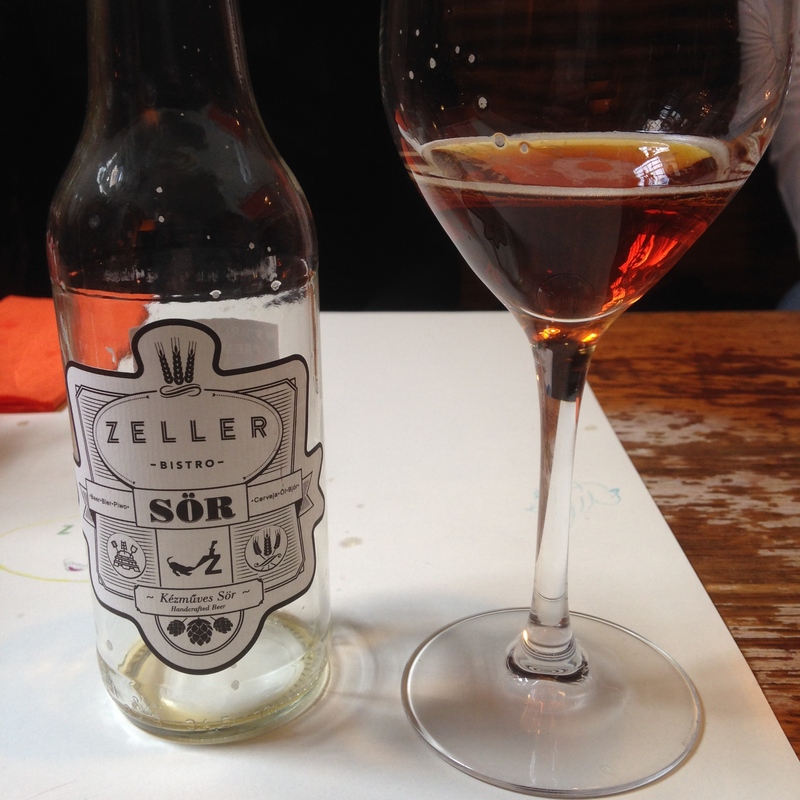 All this and they even manage to squeeze in the own brand of beer; Zeller Sor. Advertised as Irish Red, it is in actual fact Stari Ir Voros. This beer is beautifully buttery, caramelly and so smooth; being served in a wine glass really sets it off too. 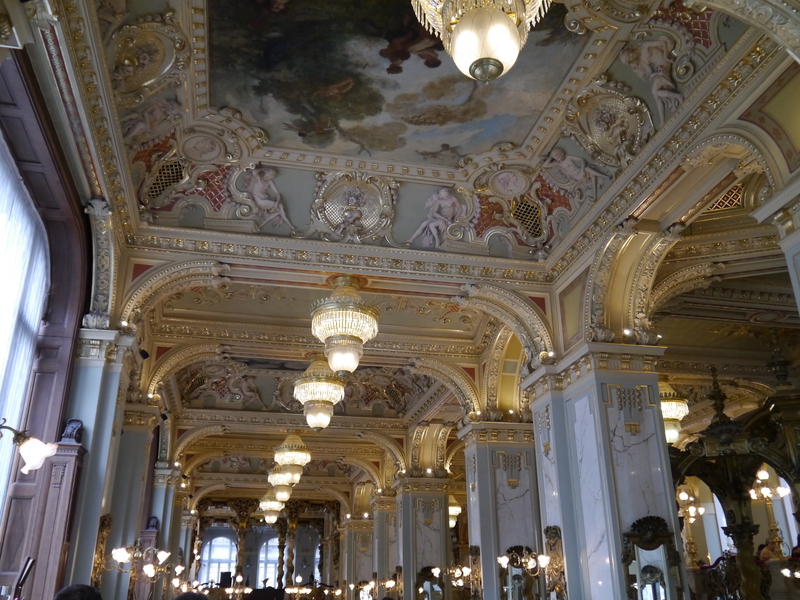 It’s not hard to understand why Zeller, according to Trip Advisor, is the number one restaurant in Budapest. The whole experience from start to finish is so relaxing and enjoyable, and we found ourselves never wanting to leave. But leave we must, and off back to the hotel we headed to pack for the journey home. The flight home was, again, pretty uneventful, all except for the landing. We swayed from one side to the next and came in at a fair lick. 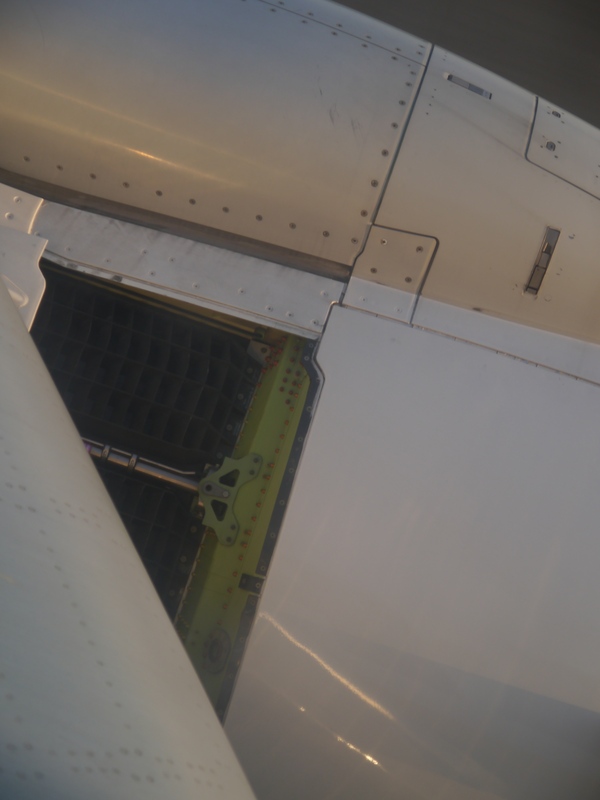 The thrust reversers were working overtime, and we only just managed to scrub our velocity before reaching taxiing speed and making the sharp turn off the runway. Now I know what the fanfare is for…..